The zodiac is a life map – all you need do is follow the signs! 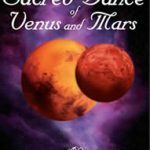 Secrets of the Zodiac explores the archetypal qualities within each sign of the zodiac, revealing your primary mission in life, your priorities, how you interact with others and what you most need to learn. Life’s a whole lot easier when you know where you are going, what you are capable of, and what’s likely to trip you up. Based on the ancient astrological principle that we evolve as we travel around the zodiac, Michele Finey shows howeach sign is linked to the next.Find out what makes you tick, why some things are second nature to you, and why you repeat the same mistakes time and again. What do you most need to learn, and what can you teach others? Discover how other zodiac signs see the world and where their strengths, fragilities, and potentials lie. Accessible and inspiring, Secrets of the Zodiac gives you real insights into how to get the most out of life and your relationships, so you can celebrate your very real gifts to the world. Life’s a whole lot easier when you know where you are going, what you are capable of, and what’s likely to trip you up. 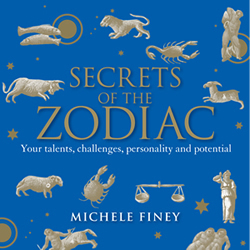 Based on the ancient astrological principle that we evolve as we travel around the zodiac, Michele Finey shows how each sign is linked to the next.Find out what makes you tick, why some things are second nature to you, and why you repeat the same mistakes time and again.